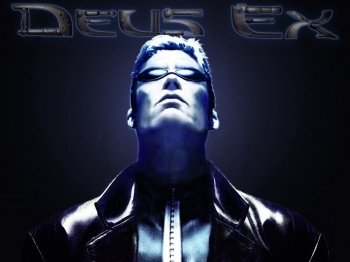 Try the Deus Ex Quiz! Put on a trenchcoat and fight some conspiracies with this quiz! In honor of Deus Ex: Human Revolution's long awaited arrival this week, we've put together this quiz to test your knowledge of the original Deus Ex and its sequel, Deus Ex: Invisible War! You all may want to dust off your old copies of the game and re-install just to brush up on your hacking skills. Remember! While it may be cool to wear shades at night, it's not recommended without cybernetic enhancement.